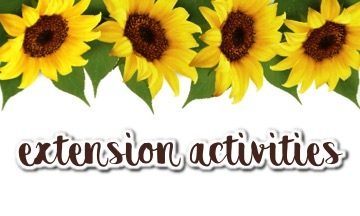 Spring has sprung, and I am very excited to share a classic Spring story with you and your students. I had forgotten how much I loved this story, until it was gifted to my son, during a recent trip to Boston. When we checked into our hotel, the front desk couldn't help but notice my slightly overly excited three year old, who waited patiently bounced off every wall! When they delivered his "very special big boy bed" it came with a welcome bag. He received a water bottle, coloring book, special bedtime snack, and story. To say that it was thoughtful, would be an understatement! When tucking my son into bed that night, we read "Make Way for Ducklings" - the most perfect Springtime in Boston story! Not only is this a cute leisure bedtime read, but it is also a great read aloud to share with your students. 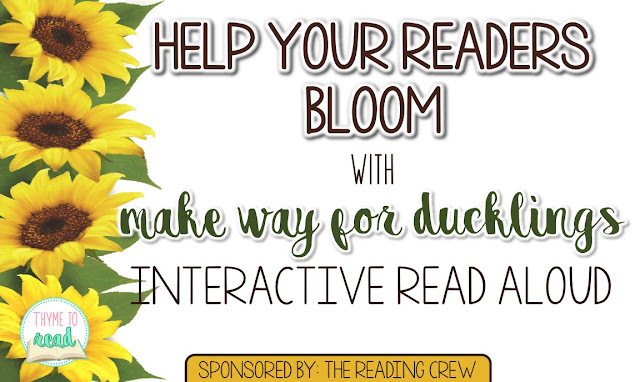 There are many skills you can emphasize with an interactive read aloud. Make Way for Ducklings by Robert McCloskey (also the author of Blueberries for Sal) is a Caldecott Award winning story, about the journey of a family of ducks. Starting with Mr. and Mrs. Mallard looking for a place to nest, they fall in love with the Boston Public Gardens. But, after encountering some busy bikers, they eventually settle on the banks of the Charles River. After hatching their ducklings, and teaching them all the ducky ways, Mrs. Mallard does not give up on the Public Gardens. She enlists the help of Michael the policeman, to help her and her ducklings to their final family home. Teaching vocabulary is so important, and often a skill that is overlooked. 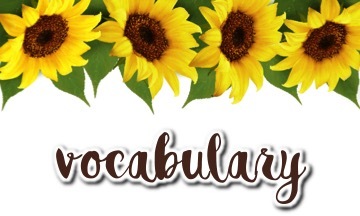 Introducing vocabulary can help set the stage to activate prior knowledge, while at the same time, begin to introduce new concepts to our students. Many times I have seen a student struggle to decode a word (that I really thought they should know), not because the phonics of the word was too difficult, but because their vocabulary just wasn't there yet. 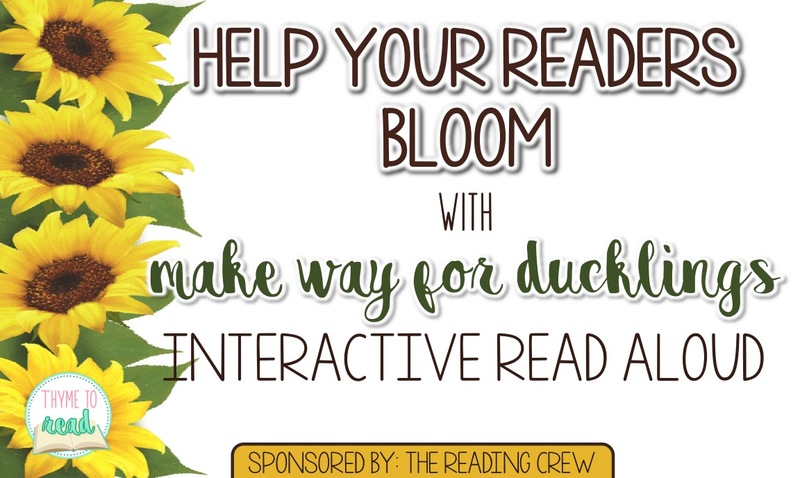 The vocabulary in this story is rich, not only as an introduction to a study on ducks, but also for words our students will encounter in other texts. One activity I love to do when introducing new vocabulary, is to read off a list of words before starting the story, and have students predict what the words mean. This gives me a sense of their knowledge, and how much time to spend instructing on these words. I then assign each word to a select few students (the ones I know need a job to stay engaged) and it is their job to listen for their word throughout the story. When they hear their word, they quietly hold up a card to signal it's time to discuss the word. Then, using context clues, we try to uncover the meaning of the remaining words. I also DO NOT limit my students to ONLY the words I selected. Again, sometimes they surprise me with words they are unfamiliar with - and the whole point of going over vocabulary is to build background knowledge for the next time they encounter the word. As I mentioned before, this book can make for a nice leisure read, as you transition out of the chaos of recess, however, this story can also be used to practice skills you have covered with your students throughout the year. 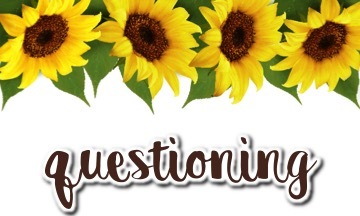 By using before, during and after reading questions, you can engage your students by discussing genre, making predictions and inferences and evaluating characters, setting, and important events. The depth our students are able to pull from the story, can truly depend on our scaffolded questioning. Providing our students with the opportunity to ask questions is another important experience that can create during our interactive read alouds. I try to encourage all types of questions. My students ask clarifying questions, if they need more of an explanation. But, they can also ask their peers comprehension check questions, which allows them to take on a teacher role. This allows my students to have great input in their learning, and increases their metacognition of the story - a skill (I hope) that will transfer into their independent reading. 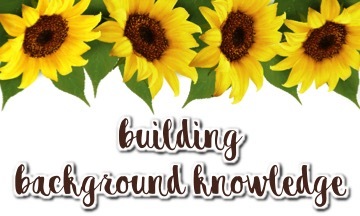 Normally, we talk about building background knowledge before reading with our students, however after reading is another opportunity to build on our students' understanding. New knowledge is best developed by the connections our students can make. This charming story can make a wonderful transition into a study about ducks, and other oviparous animals. 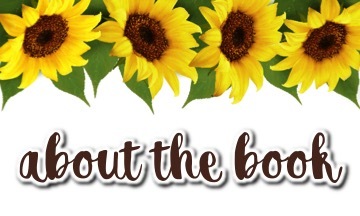 Be sure to grab your blog exclusive FREEBIE! 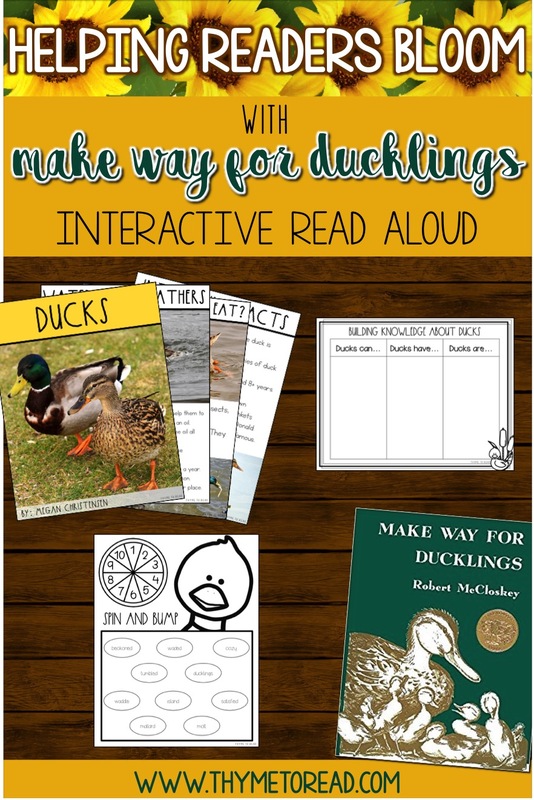 This non-fiction reader (2nd grade recommended) about ducks, and graphic organizer can help to expand your students' background knowledge about ducks. This story has potential to bridge connections with your math curriculum. Mr. and Mrs. Mallard have eight ducklings - that makes a family of 10. Your students could explore ways to make ten, and write word problems about the infamous Boston family. Additionally, Mr. and Mrs. Mallard name all of their children with final -ck word family endings. 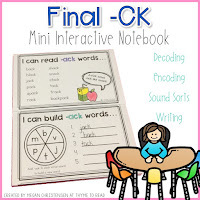 If applicable, a lesson or review of final -ck would be an appropriate phonics connection for this story. 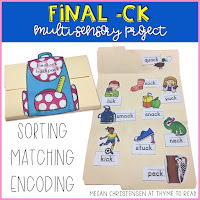 Check out some of these "student and teacher approved" final -ck activities! If you have used this book with your students, I would love for you to share how you have made connections and built upon your students' knowledge - you can share in the comments below. Don't forget to check out the other incredible ideas, lessons and strategies shared by my teacher friends, linked below. HAPPY SPRING!